What we offer - AutoCom Deutschland e.K. AutoCom Germany e.K. 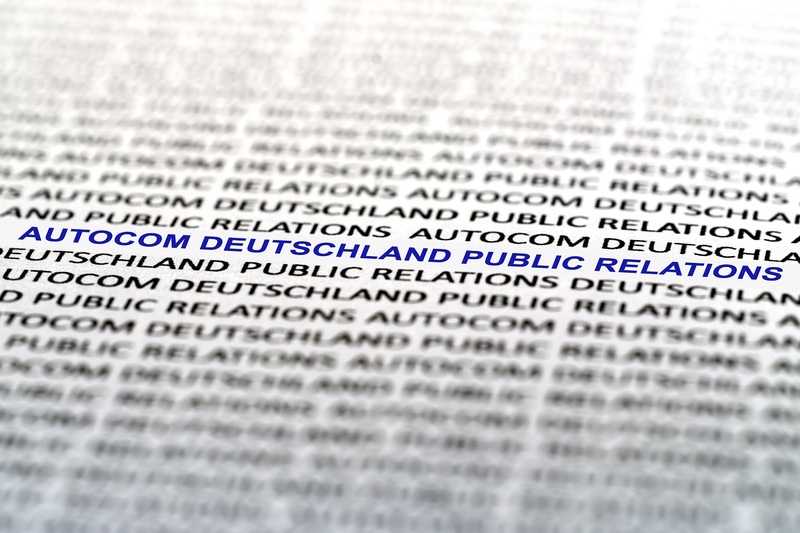 Public Relations is an agency focusing on technology communications. In order to achieve this, we must understand the products or services of our customers. This requires the targeted interaction between them and us. If we know what their goals are, we structure the press work in a time and thematic matrix. This results in topics whose content we are researching. We prepare them to meet the needs of the target group and provide meaningful pictures, graphics and videos. The use of suitable communication channels enables us to direct the messages of our customers to the right target groups. For international tasks, we can draw on many years of experience as a leading agency for an Europe-wide campaign. The membership for more than a decade in a worldwide network of PR agencies is also very goal-oriented. We provide these services as regular press and public relations, in special events as well as around trade fairs or events such as press conferences or journalist trips.